PLEASE!!! 146.40 is NOT a simplex frequency in the Washington/Baltimore area! Welcome to the Ashton Radio Communications Society Home Page. 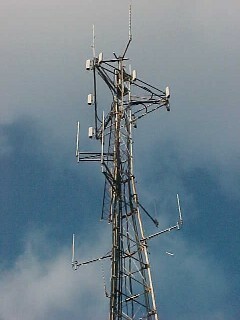 ARCS operates five Amateur Radio repeaters in Ashton, Maryland. Click the navigation buttons at the top of the screen for a description of each repeater system. New members are being accepted. Please click on the Membership page or click here. YouTube video of repeater system here. You can now pay your annual dues online. Please click on the Membership page or click here. Please read the Repeater Acceptable Use Policy located here. This was approved by the ARCS BOD 9/10/2013. The membership roster and echolink instruction pages are password protected and can be accessed by members only. 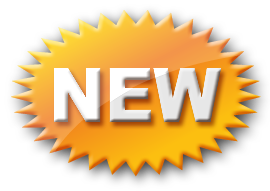 10/18/2018 - The web site has been moved to a new hosting service and is operational again. The online membership application should be working. 10/1/2015 - The 443.15 repeater has been replaced with a Motorola Quantro and is dual-mode analog or P25 (NAC 293). It is also linked via P25NX. To use the repeater linking, you will need to program your P25 radio with the appropriate P25 talkgroups listed on the P25NX web page. See the UHF repeater page for more info on this. 8/24/2014 - The 2 meter repeater has been replaced with a dual-mode high power Motorola Quantro. The high power Micor repeater remains as a standby. You can now use P25 (NAC 293) on 147.00 +600 (note the + offset for P25) and use analog on 147.00 -600 as before. It is suggested that analog users program their radios for tone squelch (156.7) to avoid hearing the digital transmissions, which are annoying. If you have a P25 capable scanner you can listen to digital transmissions by programming in 147.00 with NAC 293. 8/22/14 - Video tour of repeater system now available for viewing on YouTube. 1/7/2014 - BOD met this evening. Arrangements were made for the annual dues renewal notice to be mailed out in January. Updates were heard from the membership and by-laws subcommittees. Paypal will be set up to allow membership dues to be paid on-line. Plans for an annual meeting were discussed. We are going to try to set up a summer cook-out at someone's house. Finances were discussed and we are holding our own until the annual dues start to come in. Once that occurs, we should be in good shape to cover our expenses (mostly the electric meter). 9/10/2013 - BOD met this evening. Repeater acceptable use policy was approved and is now in effect. Subcommittees were appointed for membership and by-laws. Finances were discussed and are slowly improving. Significant reductions in electric usage are starting to show on the bill. 7/6/2013 - Work continues to reduce the electric power consumption of the system. A fan ventilation system is being installed to run in lieu of the air conditioning. Unused or standby equipment is being powered down. A supplemental appeal went out to the membership for some more funds to cover the high electricity costs we are currently facing, so please be generous. 6/27/2013 - A Board of Directors meeting was held and new club officers elected. The primary topic of discussion was the electric bill and how to reduce the costs and increase income until the two meet and are sustainable. Club officers are now President-K3WX, Vice-president-N3OC, and Secretary/Treasurer K3RO. Directors (in no particular order) are K3YDX, W2BZR, N3AGB, K3YDX, K1DQV, KA3EJJ, WA3GJD, and WA3KOK. N3OC and WA3KOK are co-chairman of the Technical Committee and repeater control operators. 6/1/2013 - High and low temperature alarms in the equipment shelter were re-connected to the repeater controller. This will allow us to better hear if the temperature gets too hot or cold in the shelter. 9/20/2012 - Thanks to the efforts of Maurice, KA3EJJ, the 147.00 repeater system has been connected to the on site generator system. While still a manual transfer, we now have the ability to maintain two meter repeater operations for extended outages. This represents a commitment to emergency communications in Ashton and surrounding communities. In addition, the voter was connected to the UPS to increase reliability during power surges. April 2012 - A new echolink server was placed in service to increase reliability of the echolink connection and repeater control circuits. February 2012 - UPS batteries were overhauled and the computer UPS was repaired. The big UPS that can run the two meter repeater is still awaiting new batteries. They are expensive, so we are exploring our options. A Motorola high-power Micor transmitter was placed in service on the two meter repeater, with a 250 watt output power. The Frederick receiver site was re-instated in it's new home on Gambrills Mountain, just outside of Frederick. The long awaited Virginia receiver site was installed near Weather Mountain in Loudoun County.